Authorities are continuing to investigate after 13-year-old Rayan Issa died while on a school trip to Range Pond State Park in Maine. 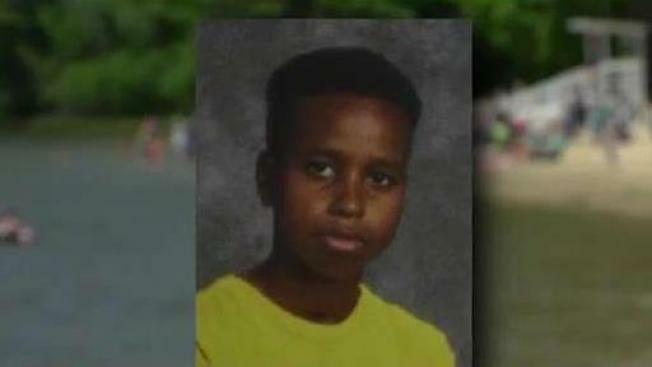 Parents and community members in Lewiston, Maine are asking for answers after a middle school student drowned during a school field trip Tuesday. Police say 13-year-old Rayan Issa died at Range Pond State Park Tuesday afternoon. Lewiston Superintendent Bill Webster said there were 113 middle school students on the field trip. According to a preliminary investigation, Issa could not swim. He was standing in the water, throwing a football with friends. Webster said Issa stayed within the roped off designated swimming area, but went to the edge to retrieve the football. The water is between 6-10 feet deep in that area, according to state park spokesman John Bott. Issa went under the water, and never resurfaced. Due to the murky condition of the pond, it took several minutes to find him. "We need a lot of answers as to what happened," said Webster. "It should have never happened, and it certainly should never happen again." Webster said there was one adult chaperone for every 10 students on the trip, and one lifeguard on duty. "It wasn't enough in this case," said Webster. The school district has hired law firm Brann & Isaacson to conduct an external review of the incident, and the Androscoggin County Sheriff's Department is investigating. I have asked our law firm, Brann & Isaacson, to do an investigation of all that transpired leading up to tragic death of Rayan Issa and to make safety recommendations. I will release this report publicly. This is in addition to the investigation being done by the Sheriff. Multiple witnesses at the park said the adult supervisors did not seem to act quickly when students reported Issa missing. "There were no screams, no panic, nothing," said Alexis Caron, who was at the park with family. "I thought they had lost, like, an earring. They were so nonchalant." One mother, who did not want to be identified, said her son told her the teachers thought the kids were joking when they said Issa was missing. "They had them look on the ground area at first," said the mother. "Why weren't the teachers in the water right away?" Another witness, Shandra Bishop, arrived at the beach before the drowning and remarked to her family that the environment was so loud, "if someone drowned, we would never know." Bishop said she only noticed a handful of adults at the beach, and never saw the lifeguard. She said she ran into about six students outside the bathroom, who said they were looking for a missing classmate. "It was very calm," she said. "It was weird." Webster said everything from staffing ratios to response time will be part of their investigation. For now, all water-related school activities have been cancelled. Grief counselors are available for students and staff, and a vigil will be held to remember Issa Wednesday evening. "He was a really great kid," said classmate Collin Taylor. "He had a great personality, and he was a really close friend to everyone." Taylor was at Range Pond when Issa died. "All the kids witnessed it," said his mother, Jenny Taylor. "It's heartbreaking."